John has over 25 years of experience in real estate specializing in land development, architectural design, regulatory oversight as well as 5 years working directly in the real estate field. John’s goal for his clients is to prepare them to market their properties and provide the highest quality of professionalism possible. 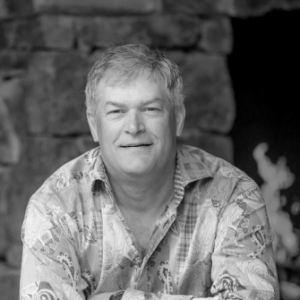 John’s background in the architectural field proved his dedication in serving his clients. John’s experience as a project manager taught him that listening to his clients and contractors was one of the most valuable commodities that he could offer. In 1997 he was asked to help start and manage an awarding architectural office in Bozeman, Montana and in 2001 he took that knowledge and success and started his own design firm which he maintained for over 7 years. In 2002 John was appointed to serve in the Montana Legislature and later was elected 3 times to serve the people of Gallatin valley. While serving as an elected official John was chosen by the Leadership in the House to serve as Chairman of Appropriations. John credits his personal and public achievements to the fact that he listens to his client’s needs, creating a plan to get the job done. In 2009 John began a new endeavor focusing on the aspect of the real estate industry as the government affairs director for the REALTORS of northwest Montana. In 2013 John became a licensed REALTOR working with clients to both buy and sell properties. John’s dedication and past knowledge in the architectural and land planning industry has added much needed value to his real estate clients. John has even gone the extra mile for his clients. One in particular, John spent his spare time during the summer to help his client prepare their home for sale by residing and constructing new decks, which were needed in order to sell their home.